The Gift Card Fundraiser is a great way to help Folwell PTSA raise money to support the 5th grade trip, and you don't have to spend any more money than you normally would with your everyday shopping! This kind of program is sometimes known as "scrip". 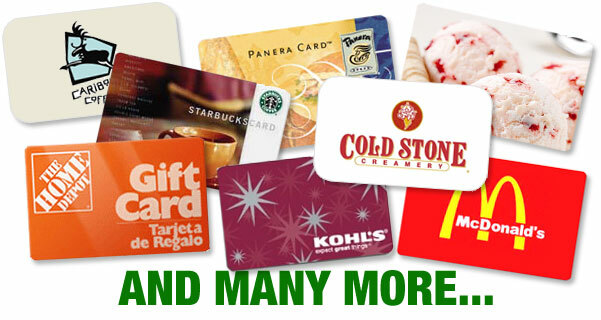 We purchase the gift cards for all of our Folwell families in a large bulk order, and the participating retailers give us a percentage of the face value to keep for our PTSA, up to 15% or more! For example, a Chipotle gift card purchased for $10 is worth the full value of $10 when spent at Chipotle, but the Folwell PTSA will get 10% of the total, or $1. The money adds up quickly! You earn money for our school without spending a single additional penny! The file below states a "due date" as November 27th. We will continue to accept gift card orders until winter break. To be a part of our next order, please turn in your form by next Friday, December 7th.